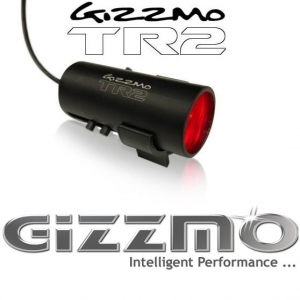 Home Gizzmo TR2 Tach Recall 2 Shift Light - SALE - RRP £109!!! R-Spec Performance has managed to secure yet another unbelievable deal for our customers, RRP from Gizzmo for the TR-2 was £109 + Delivery so great savings with this offer! The Gizzmo TR-2 is without doubt one of the very best shift lights available today. This is a unique dual stage shiftlight incorporates the features common to many aftermarket counters into most available OEM rev counters. The Gizzmo Tach Recall Shiftlight allows most rev counters to have a peak rpm saved to memory which can then be recalled and displayed at any one time, the peak rpm reached during the current trip is available for recall. 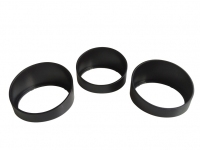 Or it can simply be used as one of the best stand alone shift light currently available. The shift stages are simply set using the three-button configuration to move your rev counter needle to the desired RPM for each individual stage. Upon the ignition being switched on the unit will display peak saved rpm, second stage shiftlight setting and then first stage shiftlight setting, by indicating the rpm position on the tachometer, and flashing the corresponding LED's. The TR-2 can also be used in "simple" mode if you require a basic shift light that doesn't move/interact the rev counter, or if your rev counter is not compatible with this extra function. An amazing product at a fraction of the original RRP!! Don't over rev your engine unnecessarily, let this unit tell you when to change gear and get it right every time! !